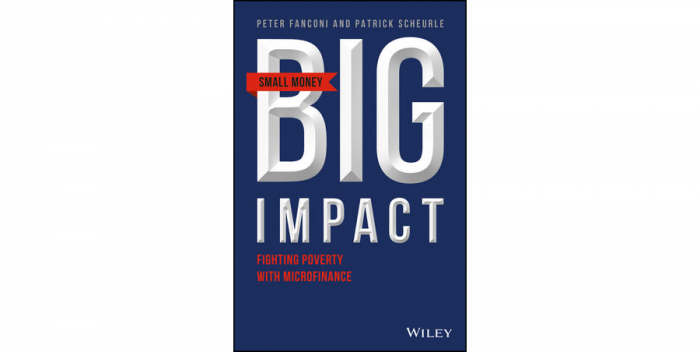 Small Money, Big Impact explores and explains the globally growing importance of impact investing. Today, the investor’s perspective has become as important as the actual social impact. Based on their experience with over 25 million micro borrowers, the authors delve into the mechanics, considerations, data and strategies that make microloans and impact investing an attractive asset class. From the World Bank to the individual investor, impact investing is attracting more and more attention. Impact investing is a global megatrend and is reshaping the way people invest as pension funds, insurance companies, foundations, family offices and private investors jump on board. This book explains for the first time how it works, why it works and what you should know if you’re ready to help change the world. Impact investing has proven over the last 20 years as the first-line offense against crushing poverty. Over two billion people still lack access to basic financial services, which are essential for improving their livelihood. Investors have experienced not only social and environmental impact, but have received attractive, stable and uncorrelated returns for over 15 years. This guide provides the latest insights and methodologies that help you reap the rewards of investing in humanity. Part social movement and part financial strategy, impact investing offers the unique opportunity for investors to power tremendous change with a small amount of money— expanding their portfolios as they expand their own global impact. Microfinance allows investors at any level to step in where banks refuse to tread, offering opportunity to those who need it most. Small Money, Big Impact provides the expert guidance you need to optimize the impact on your portfolio and the world.